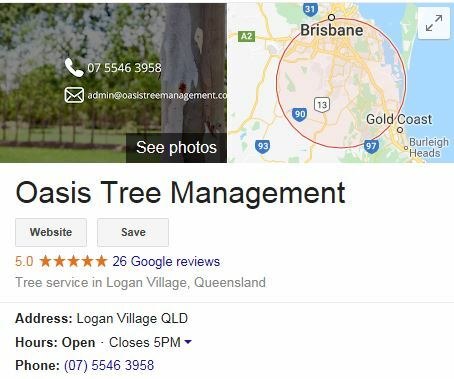 If you’re looking for a qualified arborist in the Carindale area we can help. Our expertise is in the cultivation and management of trees and shrubs. We can help with common problems such as pruning, stump grinding, and tree lopping. Unlike a tree lopper we are concerned with more than just cutting down trees! We can talk to you about other options if you are concerned about losing too many trees. We are also fully qualified as arborists and insured up to 20 million dollars. We’re happy to give you a quick quote or give you some helpful advice. We don’t talk arborist jargon, we’ll give you options for removal, if applicable and if necessary an assessment of the tree’s health. Tree pruning can make a big difference to the appearance of an overgrown yard or garden. Trees that drop a lot of leaves can cause blockages to the guttering on houses and garages and can also be a fire hazard. Correct pruning methods are important which is why you should only use a qualified arborist for professional tree pruning. Tree lopping is something that should only be considered only after consulting with an experienced and professional tree lopper. We are a local company with an understanding of flora environment in and around Carindale area. That means we can help you choose the right solution for your budget. We are committed to sustainability and supporting local community organisations and events. One of the organisations we support is Greenfleet whose mission it is to protect our Australian environment. Since 1997 they have planted over 8.7 million native trees, to restore forests and offset carbon emissions on behalf of individuals and businesses such as ours. We pride ourselves on being professional, helpful, and competitive. You can count on us to turn up when we say we will and we always clean up after ourselves. If a tree is protected we can assist you with relevant council applications.